From the end of October until the end of November, each project partner organised a roundtable within their institution. The purpose of the roundtables was to present the survey findings to focus group members, curricula curators and study programme specialists in each partner institution and, based on that, to collect ideas for the titles and general content of the new study programmes that will be developed starting in January 2018. 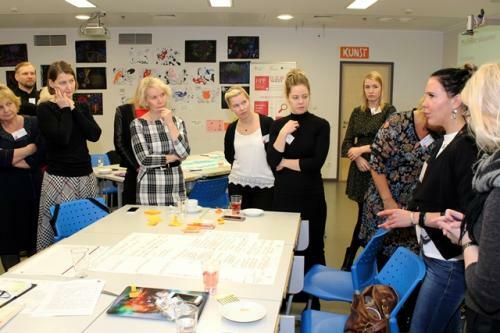 27th of October HPP team in Finland met again with the members of the focus group. The aim of the third meeting was to present the result of the survey and get feedback. Finnish team gathered in the premises of Metropolia UAS. The amount of participant was 17 and a lot of active group work was done during the Roundtable. 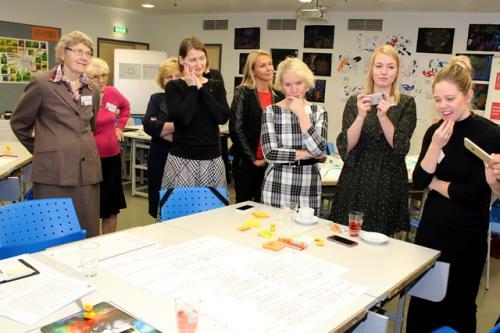 The Roundtable in Haapsalu Vocational Education and Training Centre on 1 November brought together the institution’s specialists in study programme development and implementation. After an introduction to the survey findings, the participants conducted a brainstorming session to get themes and ideas for new study programmes relating to the competences highlighted in the survey. Focusing on tourism&catering and social services specialities, but keeping the whole body of students and the general public in mind as well, the participants came up with 6 initial ideas for the new programmes, addressing issues from mental health and nutrition to a healthy living and working environment. The Haapsalu College roundtable took place on 23 November in Tallinn. There were a total of 25 participants, including representatives from the Ministry of Social Affairs, National Institute for Health Development, Lääne County Development Centre, Health Promotion Specialist lectors from Tallinn University and other institutions, current students and persons involved in study programme development and HPP project team. The meeting was co-moderated by Laura Aaben from Praxis. 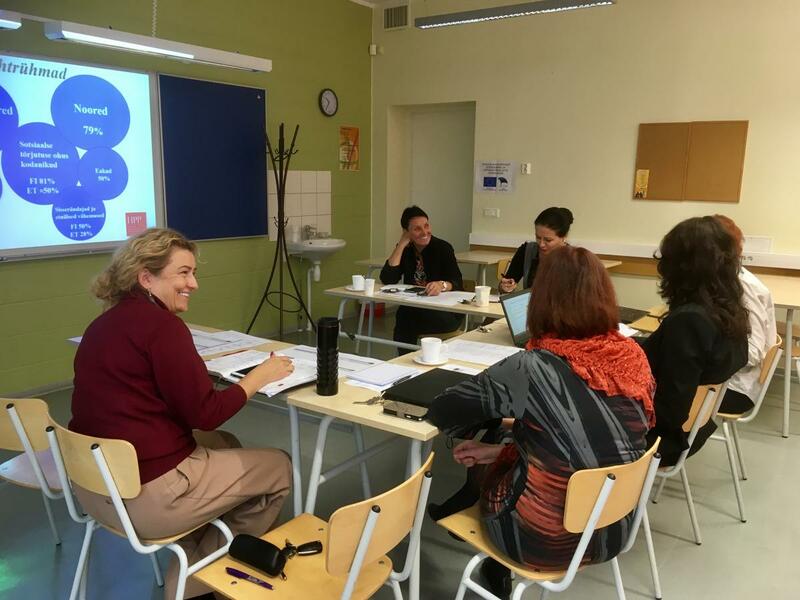 The goal of the half-day meeting was to analyse the Health Promotion Specialist curriculum in light of the study outcomes and future trends in the field, and to discuss possible changes and new directions for the curriculum. 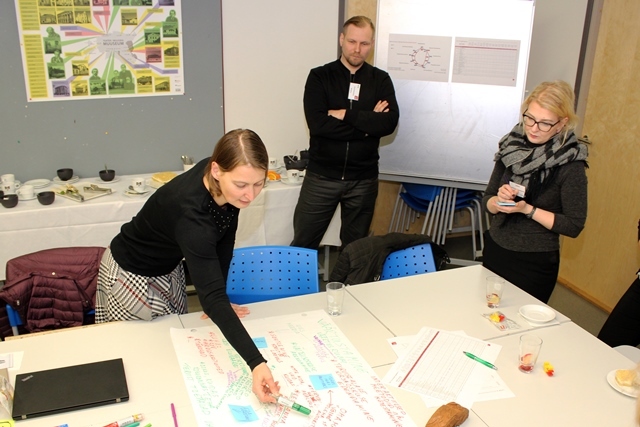 A practicle task resulted in possible future scenarios for developing the Health Promotion Specialist. The discussion was very active and provided a good input for deciding on the 10+6 study programmes. 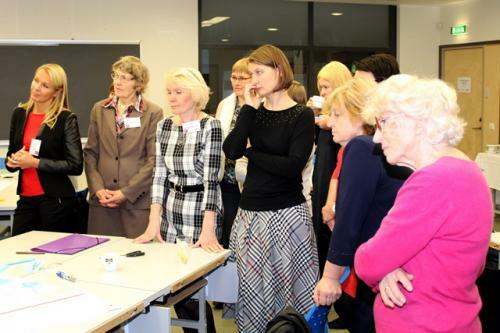 The three previous roundtables were concluded by a joint meeting in the Tallinn University. The purpose of the fourth roundtable was to agree on the 10+6 study programmes that will be jointly developed and implemented in the following years. Although some changes in the titles and precise content of the study programmes can be foreseen, we are very pleased to announce the initial agreement. The content of the study programmes will be developed in cooperation during the first half of 2018.
participated in the survey or in the roundtables!